Prince George, B.C. – Today is Grandparents’ Day with the focus on grandparents who are raising their grandchildren. The Parent Support Services Society is honouring those people with festivities running until 2 this afternoon at Paddlewheel Park off Hamilton Avenue. There’s live music, kids’ activities and more. Gerry says she would like to see the government return to providing support for grandparents who are raising their grandchildren. She says a local group, Prince George Grandparents Raising Grandchildren, is trying to get things changed. 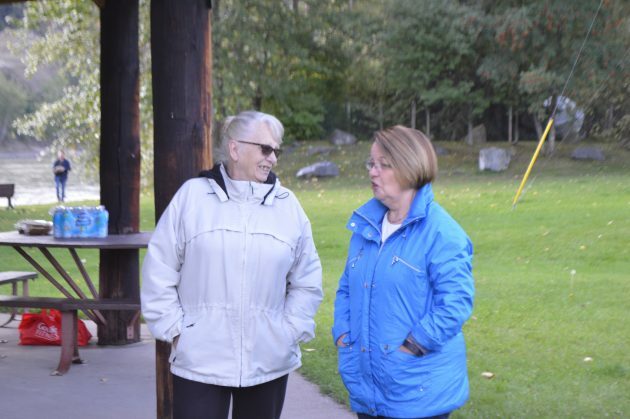 “We’ve talked to (Prince George-Valemount MLA) Shirley Bond, and that’s about as far as we’ve gone.” She says they are also trying to get fellow Liberal MLA Mike Morris on board. Anyone interested in speaking with the grandparents’ group can do so from 10 till noon every Tuesday in Room 218 at the Prince George Native Friendship Centre.